Rumors this week of Ring of Honor being sold were confirmed on Saturday afternoon. ROH announced that owner Cary Silkin has sold the promotion to Sinclair Broadcast Group, Inc., a television broadcaster. Silkin will remain in the front office along with Syd Eick, Ross Abrams, Delirious as head booker, and Jim Cornette as executive producer. ROH will bring on a new COO, Joe Koff, who is listed as a long-time Sinclair executive and has pro wrestling TV experience in the 1980s. Kevin Kelly will lead play-by-play. Former WCW executive Gary Juster is joining ROH to head up live event promotions. Part of Juster's task will be building up current markets and expanding into new locations following additional TV exposure. As part of Sinclair's acquisition, ROH TV will begin airing in syndication starting in September. No timeslot or further details on the TV aspect were announced. 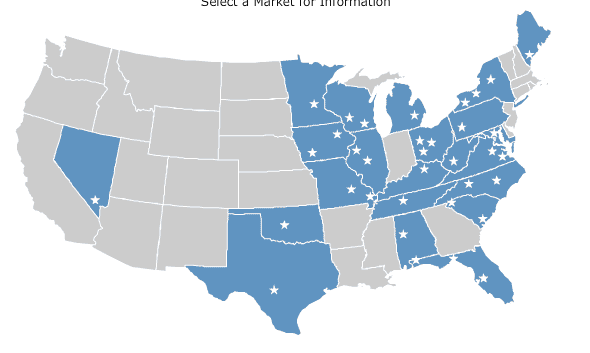 Sinclair has 22 percent market penetration, mainly with presence in the U.S. Northeast and Midwest. The network does not have many markets in the Western U.S.
ROH said they will distribute the weekly TV show online for people to view the show if they live outside of Sinclair's distribution range. Silkin noted in a press release that ROH has been "waiting for and working for this opportunity for quite some time." Sinclair noted they are aiming to bring wrestling back to the syndication format following the shift to cable TV. "Television and professional wrestling have a long history of successful partnerships and driving viewership," said Sinclair COO Steve Marks. "Unfortunately, the broadcast networks have not protected that relationship, allowing professional wrestling to migrate to cable network distribution. We believe that the powerful promotional platform that our TV stations provide, coupled with our 22 percent share of the U.S. TV households, will allow ROH to achieve name brand recognition and grow its share of the wrestling market." ROH and Sinclair have scheduled a press conference in Baltimore, Md. on Friday, June 24 to formally announce the sale of the promotion. Koff will preside over the press conference. ROH staff and wrestlers will also be on-hand. Link: ROHWrestling.com for the press release. Coverage Map: Sinclair's TV distribution is as follows. More specifics on their TV markets can be found at SBGI.net.